From a company committed to “scrubs that change your attitude” comes the latest craze in healthcare uniforms - WonderWink scrubs are changing the landscape, making work scrubs more comfortable, functional, and stylish than ever before. With a variety of fabrics ... (see full details) (see specifications) #6016-BLK. From a company committed to “scrubs that change your attitude” comes the latest craze in healthcare uniforms - WonderWink scrubs are changing the landscape, making work scrubs more comfortable, functional, and stylish than ever before. With a variety of fabrics, colors, and styles available, be sure to check out our whole line from this brand. This adorable WonderWink Women’s 6016 BLK Black Bravo Black V-Neck Scrub Top has a subtle “lady” fit and a functional v-neck that allows you do all that your job requires, all while doing so in style and comfort. This design is great for anyone who works in the healthcare field. With three special lower pockets, you'll never wonder where you set your pen, and you'll have plenty of space for other needed items. Enjoy the flex of the soft fabric and the style of this women’s v-neck scrub top the next time you’re at your workplace. This easy-care cotton blend scrub top has the ideal combination of soft cotton and flexible polyester. At 65% polyester and 35% cotton, you can enjoy the cotton feel without the shrinking. The polyester blended in it gives the stretch you need to bend, move, and easily do your job, no matter what you may have to do that day. The stylish black v-neck is cute, but not revealing as you move. High enough to keep you covered yet still super cute, this may be the most functional women's scrub top you’ve ever owned. The overall length is 27-3/4 inches (in a size Medium), and the side vents at the bottom help this WonderWink ladies’ scrub top to fit easily over any shape of hips. Three pockets in the design will help you stay organized on the job. All three of them are located on the lower front of this black v-neck scrub top. The two large, open pockets can hold a variety of items - the lower left pocket has an internal 3-part accessory loop to hold your pens, scissors, and other small items firmly in place. The lower right pocket hides the hidden mesh WonderWink Signature pocket. Outside of this pocket are two smaller divided pockets and the signature ID loop, so you can keep your work badge right with you at all times. This adorable and slimming feminine Bravo scrub top has everything you need to be the hardworking professional you are: comfort, functionality, and style. WonderWink scrubs are easy to care for, machine washable, and durable. The black color on this women’s scrub top will not fade easily either, so you can expect long-lasting wear from this women's workwear. So add this special garment to your scrub collection today by ordering this WonderWink Women’s 6016 BLK Black Bravo Black V-Neck Scrub Top from Working Person's Store for all of the comfort and style you need on the job. 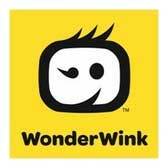 Then check out the rest of WonderWink's impressive lineup, and we’re sure you’ll be back for more. WonderWink Scrubs: Women's 6016 BLK Black Bravo V-Neck Scrub Top is being added to your cart.